This 3 bedroom, 2 bathroom villa is located on the small gated community of Tivoli Manor. The fully equipped kitchen has all modern appliances and a breakfst bar with seating for four guests. Also, the main dining area which offers seating for six guests and a breakfast table which seats four. There are two sitting rooms, the main one has a television and looks out onto the pool deck. The bedrooms consist of two queen bedrooms and one twin bedroom, all of which have televisions. the home has internet for guests to use. Outside you will find your own east facing pool and sundeck which is furnished with outdoor pool furniture. For those looking for a little respite from the sun there is also a shaded lanai area. 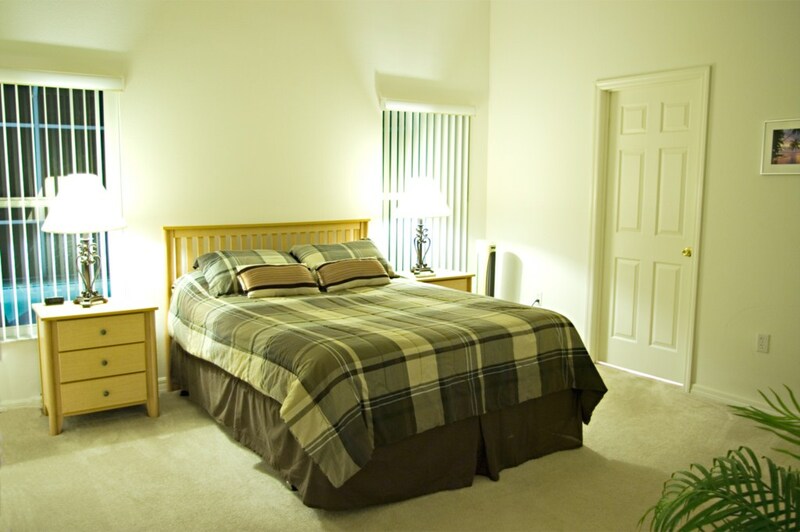 Tivoli Manor is a development located just off the US 27 with easy access to Interstate 4. It is a quiet, gated community of only 35 homes so if you’re looking for a peaceful retreat, you’ve found the perfect place. Walt Disney World is approximately a 15 minutes drive away and SeaWorld and Universal are easy to get to from the I-4. Orlando International airport can be reached in approximately a 35 minutes drive and Sanford airport in an hour’s drive. There are over 20 golf courses to be found within 20 miles of this community, the nearest being the award winning Southern Dunes, ChampionsGate and Highlands Reserve course, which are all within a 5 minute drive.